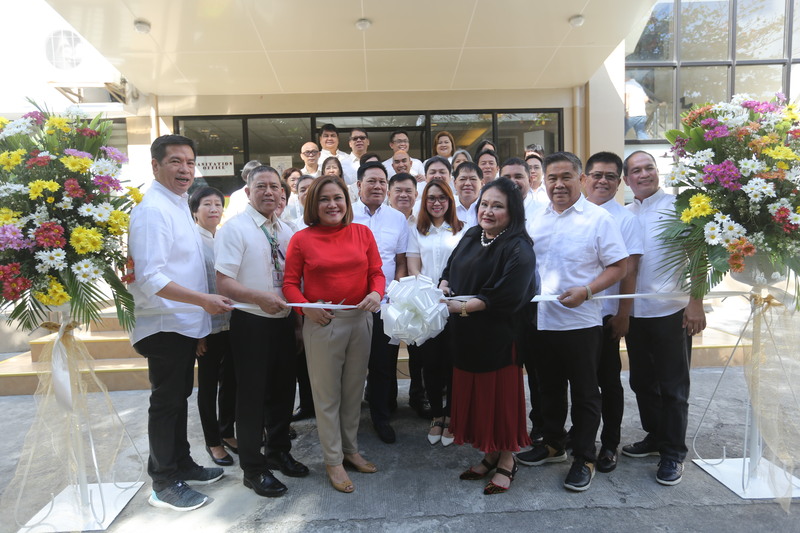 Mayor Imelda ‘Mel’ Aguilar(4th from right) and her daughter, April Aguilar(3rd from left), led the ribbon cutting ceremony to open the new Health Building at the City Hall Compound. The new Health Building houses a spacious health center with a well- equipped clinical laboratory and dental clinic. The Las Piñas City Health Office is also located in the said building. The services in the newly opened health center are free of charge for the residents of Las Piñas City. Present during the opening were (from left) Councilor Mark Anthony Santos, City Health Officer Dr. Ferdinand Eusebio, Councilor Ignacio Sangga, Councilor Rubymar Ramos, Councilor Henry Medina, Councilor Danilo Hernandez, Councilor Florante Dela Cruz, Councilor Filemon Aguilar III and City Department Heads.